Follow: hear from Christian content creators. To everyone who has given though GiveSendGo.com while we took our first steps: We are eternally grateful for your commitment to this project. Thank you, thank you, thank you. Your gift has been a critical part of this work. We are up and running! We've created a page at our own domain at https://40authors.com where we can share details about our ongoing launch phase and where we can receive donations directly now. Just go to the donate button in the top right corner and instead of ending up here you'll end up at a secure donation page that deposits funds directly into our account without a go-between. 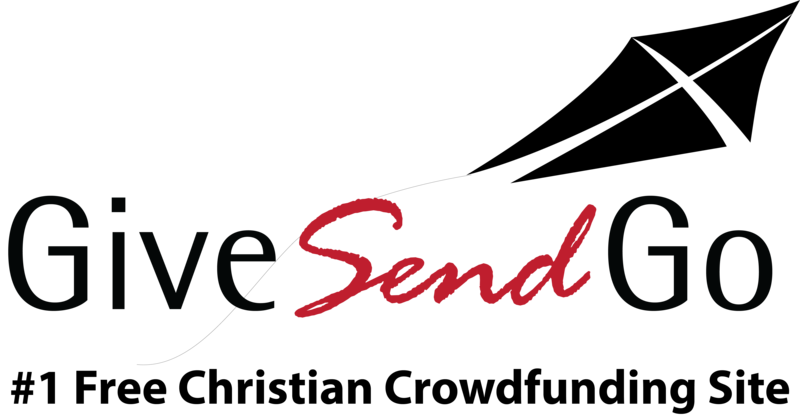 We are so grateful to GiveSendGo for helping us out while we were starting up. Our new arrangement will be more efficient and will allow us to be better stewards both of the funds we receive and of the private information our donors entrust with us. Want to send a check or transfer funds? We hope more churches get behind this. What you're doing is SO important for pastors of all denominations and many others. It's very exciting! God spoke to my wife who's a Christian broadcaster about you guys and she came to me and said we should make this donation. God bless you! We pray he provides all the rest of what you need to make this happen. I'm going to give this same amount every quarter. You guys rock! I watch the news and I think, we need this 40Authors thing right now! I really believe in this project and the impact it will have. I want to invest early and pray my example will multiply many times over. Love you guys. Let's get this thing built! We need it. Update #3 - We need to get Barna going! We got a fantastic opportunity last week. Barna agreed to get started on our project for just a fraction of the total of what we'd initially agreed to. If we can raise $11,000 right now, they'll spend the next month and a half finding out for us what it is that Christian content creators across the country most need our help with. We'll take the information they get and use it to build our site to order basically. This represents one of the best ways you could help pastors and Christian writers and educators across America today! Hey guys, just a quick word. If you've been to our websites lately you'll have noticed some changes. We're getting a lot closer to some really big steps. Pray for our strategic partnerships and for the team that is working on this full time right now. And stay tuned for more exciting developments right around the corner. btw -- If you missed out signing our manifesto and becoming part of the Founders Circle for this venture, don't worry! Email us right now at info@40Authors.com and say I want to be a part of the Founders Circle and we'll still add you to the list. For the past couple of months we've been up to our ears in accounting and reporting and planning and preparing. It's been a challenging but also very exciting time. We have things in place now and are getting ready to move into phase two, sharing and support-raising and at the same time, implementing. A new partnership with Barna Group. We are so thrilled to be working with one of the biggest service providers for Christian content creators on this project. Barna Group has agreed to design and carry out an extensive research project to help us better understand the needs of our constituency. We can't wait to share more with you about what we will learn together through this. A web development partnership. We are also thrilled to announce that we have selected a web development group that understands our vision for this website and has the resources to create it for us. They are a group of highly skilled web developers that have already done work for some of the biggest brands in information warehousing and networking in the world and are very excited about creating a new network for Christian content creators. The ownership and most of the staff are believers themselves and they shared with us that they've often discussed the need for a project like ours. Pray for us as we travel the country over the next few months sharing this vision with potential strategic partners and raising awareness and support for it.